WASHINGTON – The deaths of a Michigan family of five in January when a truck slammed into their car in Kentucky has Congress wondering whether interlock devices that keep drunken drivers off the road entirely should be mandatory for all vehicles. On Thursday, members of the House Consumer Protection and Commerce Subcommittee specifically invoked the deaths of Issam Abbas, his wife, Rima, and their three children as they questioned whether technology that could keep vehicles from being operated by any drunken driver should be more widely required. And while any move to mandate devices in all vehicles to keep them from starting without the driver first blowing into a tube or taking some other action to test his or her sobriety is unlikely in the near future, it was clear that some members of Congress and safety advocates believe that federal regulators should be moving in that direction. At present, interlock devices are generally only required by state courts after someone has been arrested for drunken driving. But with more than 10,000 drunken driving fatalities a year, some safety advocates and members of Congress are pushing legislation, such as Dingell’s Abbas Stop Drunk Driving Act, which could mandate interlock devices in an effort keep drunken drivers off the road. The family was headed home from a vacation trip when a truck operated by 41-year-old Joey Bailey hit their vehicle head-on on Jan. 6 on I-75 in Kentucky. A coroner said Bailey had a blood-alcohol level of .306, well above the .08 legal limit to drive. The only technology currently available involves an interlock device that connects to the car and requires the driver to blow into a tube before the vehicle will start. Robert Strassburger, the president and CEO of the coalition, said the technology is still being developed and is only being tested on less than a half-dozen vehicles in Virginia. But he hopes it will be available for a wider fleet of vehicles — such as government agency vehicles — for testing by next year and for commercial purchase by 2004. Automakers aren’t, at this point, advocating making such technology — or the available interlock devices — mandatory, however, and are generally loathe to have federal regulators or Congress force requirements on them, especially if there are fears that the public isn’t ready to accept them or they could result in unacceptably high costs. The auto industry has also been investing heavily into the promise of automated vehicles, which could potentially make the problem of drunken driving virtually disappear — though that technology is also unlikely to be widely available in the near future. The Alliance of Auto Manufacturers, a trade group of domestic and international automakers, put out a statement saying that automakers continue to work to address impaired driving and support present-day ignition interlocks and law enforcement’s use of them, though it said those rules could always be reviewed. Safety advocates and others, meanwhile, argued that Strassburger and the industry are dragging their feet and that if they won’t make faster progress, Congress and the National Highway Traffic Safety Administration (NHTSA) should require — by a certain date — that the existing interlock devices be mandated on vehicles. “I don’t know what’s wrong with the industry on this issue,” said Joan Claybrook, a board member of the safety group Advocates for Highway and Auto Safety and a former National Highway Traffic Safety Administration (NHTSA) administrator in the Carter administration. Strassburger and David Kelly, the executive director of the Coalition of Interlock Ignition Manufacturers, said that it is vital to build consumer support for such systems or there could be backlash. Some members of the committee questioned whether drivers might also find ways to disable or otherwise get around the technology. A Madison man who killed another driver while driving under the influence of LSD last year was sentenced Monday to 10 years in prison after a serious tongue-lashing from a Dane County judge who said he saw no sign of remorse from the man. Dane County Circuit Judge William Hanrahan also sentenced Gavin Veium, 22, to five years of extended supervision for the June 23 crash on John Nolen Drive that killed Diano McCullough, 45, of Madison. Veium’s sentencing hearing began with seven members of McCullough’s family, including his life partner and his mother, telling Hanrahan how McCullough’s high character and positive energy have been missed by his 8-year-old son and an extended family that includes nieces, nephews and cousins. The hearing ended with Hanrahan telling Veium that his lack of character was a significant factor in his long prison sentence. Hanrahan said Veium’s character issues were most evident when he broke conditions of his bail on several occasions, including one time that led to the revocation of Veium’s bail. On that occasion, Veium, who was under an order to consume no alcohol, flunked a remote alcohol check. Veium blamed it on eating a lot of tiramisu just before the test. He said at the time that he was unaware the dessert contains rum. Hanrahan told Veium, who kept his head bowed through most of the hearing, that he was hoping to see him show remorse and take some steps toward making a positive change in his life after the crash. According to a criminal complaint, Veium’s Mercury Marquis was traveling around 60 mph when it crashed into the back of McCullough’s SUV, which was stopped at a red light on John Nolen Drive around 3:35 a.m. on June 23. The SUV caught fire after the impact lifted it off the ground and pushed it into a traffic standard near South Blair Street, a witness told police. The SUV was ablaze when police arrived. McCullough was dead at the scene. An autopsy found that he died of inhalation of burning materials and burn injuries, along with blunt force trauma. The complaint states Veium admitted later to a nurse at UW Hospital that he had taken the psychedelic drug LSD. Assistant District Attorney William Brown said Veium had also used marijuana. Brown called the crash the worst impaired-driving homicide he has ever seen. He asked Hanrahan to sentence Veium to 10 years in prison and 10 years of extended supervision. Veium’s lawyer, Laura Breun, asked Hanrahan to sentence Veium to three years in prison and three years of extended supervision. She said Veium, who had a difficult upbringing, is a first-time offender and a presentence investigation found no signs of anti-social or criminal behavior. She also told Hanrahan that it wasn’t long ago that a case like this would end with no prison time because the crime wasn’t premeditated and showed no malice. Hanrahan agreed the crime wasn’t premeditated. He said Veium never would have gotten into the car if he thought it would lead to killing someone in a crash. “You just weren’t thinking,” Hanrahan told Veium. After the hearing, Dane County District Attorney Ismael Ozanne said that isn’t uncommon among impaired drivers. That’s why more education is needed to teach young drivers to think before they drive, he said. Ozanne said Veium’s sentence is a sign of the times. “I think there has been a consistent shift over time where people are starting to get tired of people losing their lives senselessly on our roads,” he said. An Anaheim Police Department employee was critically injured when her vehicle was struck by a driver suspected of driving under the influence of drugs Saturday afternoon, March 9, authorities said. The suspect earlier Saturday was involved in an unrelated incident in which his vehicle struck another vehicle and he fled the scene, police said. The employee, a Traffic Control Assistant, was in a stopped, marked vehicle performing traffic control duties on La Palma Avenue across the street from Servite High School when she was hit from behind by a pickup truck, Sgt. Daron Wyatt said. The forced of the crash caused the employee to be ejected from her vehicle. Co-workers and paramedics performed medical aid before she was taken to a local trauma center in critical condition, Wyatt said. The marked vehicle was blocking traffic in the westbound right lane of La Palma Avenue when the Toyota Tundra rear ended the vehicle, Wyatt said. The driver of the truck, 34-year-old Jose Alfredo Alcantar Garcia of Placentia was arrested and booked at the Anaheim Detention Facility on suspicion of driving under the influence of drugs causing great bodily injury, possession of methamphetamine for sale, transportation of methamphetamine and driving on a suspended license, Wyatt said. Investigators believe he was driving under the influence of methamphetamine and marijuana when the crash occurred, the police department said in a statement. His bail was statutorily set at $100,000. Patients who are prescribed opioids and the clinicians who prescribe them have more to be concerned about than steadily rising rates of opioid overdoses, according to a new study. The research, published in February in the journal JAMA Network Open, shows that drivers who are on prescribed opioids are twice as likely to be in deadly two-vehicle accidents than those not using the drugs. As the United States struggles with an opioid epidemic , these findings could affect health care providers’ decision-making processes, the authors say. For the study, the researchers used data from the National Highway Traffic Safety Administration’s Fatality Analysis Reporting System , which contains records from throughout the United States on motor vehicle crashes with at least one death within 30 days of the accident. This data is based on “driver-related factors,” the unsafe actions of drivers that lead to crashes. A driver with at least one driving error resulting in that fatal crash becomes known as the crash initiator. They were trying to look out for him, and he responded by killing them. A Mississippi man was arrested last week after shooting three people who stopped him from driving drunk last week, according to a local CBS affiliate. One of 30-year-old Michael Barnhill’s victims was his wife Marlee, who was celebrating her birthday with Barnhill and friends. She would have turned 27 the next day. According to the sheriff’s report, when Marlee refused to give her husband the keys to his truck, he went to the vehicle to retrieve a handgun. Barnhill reportedly returned with the firearm, slapped a cigarette out of his wife’s hand and put a bullet in her chest. He then shot the party’s hosts, Jim and Brooks Harrell; neither of whom made it to the hospital alive. Marlee had posted video on Facebook before the event where she shared beauty tips and spoke excitedly about seeing all of her friends at the big party. “Happy March 1!!!! New month, New Goals, and my BIRTHDAY MONTH!” she excitedly posted while preparing for her big night. The Maine Supreme Judicial Court on Thursday denied the appeal of a Maine man who argued he shouldn’t have been convicted of drunk driving, because the lower court didn’t allow him to bring witnesses supporting his argument that his gut brews its own alcohol. But instead of providing a clear precedent, one of the court’s justices raised concerns the wording of the court’s decision could inadvertently create a loophole allowing for an ignorance defense in future drunk driving cases. Defendants may try to avoid drunk driving charges by saying they didn’t know there was alcohol in their drinks, Justice Donald Alexander wrote in a concurrent brief. John Burbank was arrested and charged with operating under the influence and operating beyond license restrictions in August 2016 after police found him with a blood alcohol level nearly four times the legal limit. 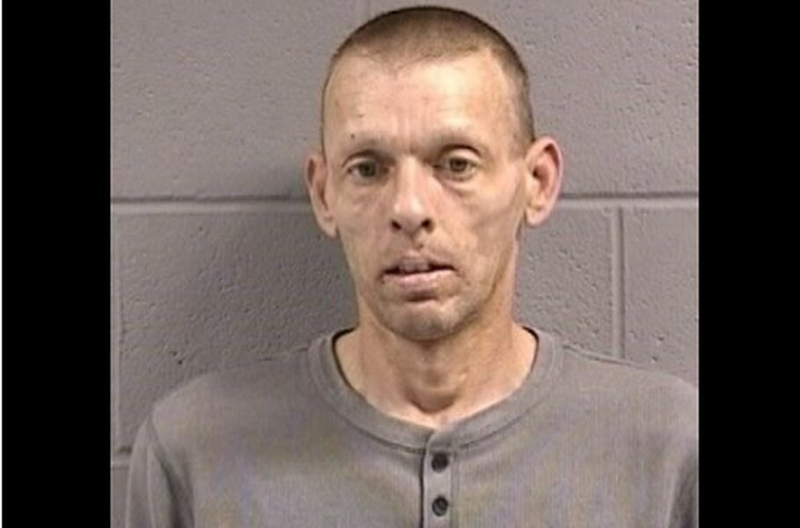 Burbank’s attorneys argued in Lincoln County court that he suffers from a rare condition known as auto-brewery syndrome, in which the body involuntarily ferments alcohol in its digestive system and intoxicates the person. But the lower court did not accept testimony from Burbank’s two witnesses supporting the claim, determining one was unqualified and the other was submitted too late. Without the witnesses, Burbank pleaded no contest to the charges and pursued a[n appeal. On Thursday, Maine’s top court issued its ruling that the lower court was acting within its constitutional right to block the two witnesses, acknowledging the first, a toxicologist, had “no training or work experience relating to the condition,” and the second was brought forward more than a year after an early 2017 dispositional conference. However, the state supreme court made it a point to say it was not ruling the defense itself was inadmissible, just that the lower court was fine to reject those two particular witnesses. “[O]ur opinion should not be construed as implicitly accepting the notion that the crime of OUI does not encompass a situation where the alcohol in the accused’s system is generated through some endogenous process,” the ruling, written by Justice Jeffrey Hjelm, read, in part. That aspect of the ruling could be problematic, Alexander wrote in his concurrent brief, as it bucks decades of precedent saying that it’s illegal to drive while intoxicated, whether the person was responsible for their own intoxication or not. 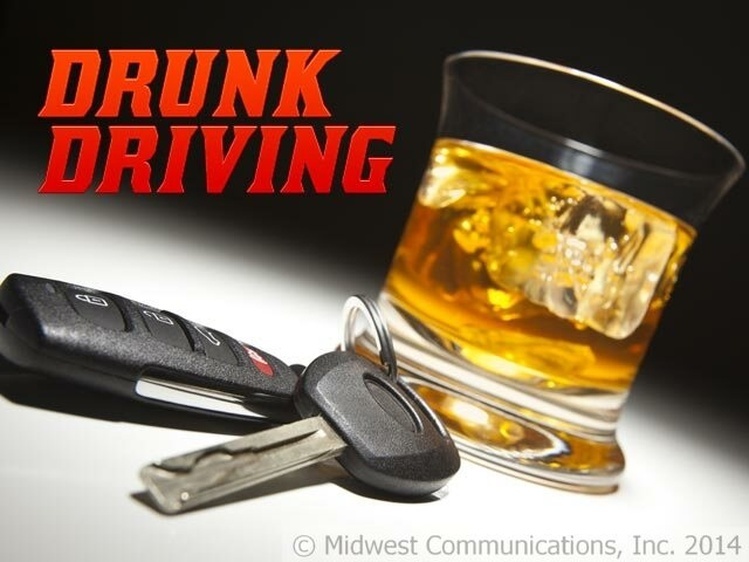 State statute, which was reinforced by a 1980 court ruling in another case, says that in order to be guilty of operating under the influence, a person must be simply operating a motor vehicle and under the influence of intoxicants, Alexander wrote. “If the court’s approach prevails, and the ‘uncommon’ defense is left unaddressed, it may invite many ‘I didn’t know there was vodka in my orange juice’ or similar defenses” to drunk driving charges, Alexander wrote. The justice wrote that the courts should have rejected the witnesses in question not because of their qualifications or timeliness, but because it shouldn’t have mattered whether Burbank suffered from auto-brewery syndrome under state law. drunk driving. MWC file photo. WAUSAU, WI (WSAU) — An incident at a Wausau Taco Bell drive-thru led to the arrest of a 26-year-old man for third offense OWI. Employees of the Grand Avenue Taco Bell location reported a man asleep behind the wheel of his vehicle in the drive-thru lane at around 3 AM Sunday. Upon further investigation, officers found a reason to believe the man was intoxicated and driving with a revoked license. A passenger in the front seat was also asleep when officers arrived. The situation could have been much worse, as the car was still in drive but the man’s foot was on the brake. Getty	Rep. Matt Gaetz (R-FL) was arrested in 2008 on suspicion of DUI, but was never charged. Rep. Matt Gaetz, a Republican representing Florida’s first congressional district, made headlines after tweeting a post aimed at former Trump attorney Michael Cohen that instantly raised questions about possible witness intimidation. Cohen is expected to provide evidence of alleged criminal misconduct by President Trump during his testimony before the House committee on February 27. Critics have argued whether Cohen’s statement can be trusted because he has admitted to lying to Congress before. This isn’t Rep. Gaetz’s first run-in with controversy. A picture that appears in a google search of his name is an old mugshot, which he has addressed multiple times in his political career. The deputy, identified as Chris Anglin of the Okaloosa County Sheriff’s Department, wrote in the arrest report that Gaetz had been unsteady on his feet and that his eyes were bloodshot. Gaetz reportedly admitted to having had two beers and refused to perform a field sobriety test or take a breath test. The case against Gaetz was officially dropped in December of 2008. His attorney argued that there had been no evidence Gaetz had been impaired while behind the wheel. Deputy Anglin ended up quitting his job shortly after arresting Gaetz, after he was accused of grabbing a suspect’s neck during another arrest in early November. Gaetz was never convicted for DUI. But his mugshot was published online. After becoming a Florida congressman, Gaetz supported efforts to have mugshots of unconvicted people removed from private websites. Nothing was passed while he was in state office. But in 2018, a Florida law went into effect that requires websites to take down mugshots if requested without charging a fee.